The hummingbirds would return soon, tiny warriors marking the true beginning of summer in their frantic, efficient manner, and I smiled every time I saw them. For now I had to be satisfied with the robins, poking their little beaks into the dirt, retrieving what goodness they could find. How simple for them, I thought, hoisting my second bucket of water. They pulled their food from the earth and drank their fill from the dew, and they had no chores at all. Early summer—nipk to the Mi’kmaq, when Nipniku’s brought the summer moon—meant the morning mud beneath our clogs would be cold, the stinging flies relentless. At the end of the day we would fall back into bed, exhausted and itchy. Ah, but the little birds did not have what I had either, I mused. They could not come inside and warm their feathers by a welcoming fire when the rain raged or the wind banged the shutters of our house. They could not keep their tiny feet warm in fine woollen socks or wooden clogs like mine. They could not even enjoy the notion of how fortunate we were to live in this wonderful place with a loving family and so many friends. I heard Maman singing, then Giselle joined in with her high, happy voice. My little sister was fourteen, but she often seemed younger than that to me. Setting a bucket on the threshold, I opened the door and walked inside, then poured the water into the large pot hanging over the stove. No one had been tending the fire, and I glanced at the others, but they seemed not to sense my annoyance. I thought about mentioning their laziness, but their laughter dissuaded me. There was no sense in dampening their good mood. I knelt and coaxed a flame from the pulsing orange logs. Shame washed through me, and I turned so they wouldn’t see my embarrassment. How could I have forgotten? I abhorred that question, and they loved to ask it. It wasn’t that I didn’t want to marry. I simply had not met anyone with whom I could imagine spending the rest of my life. When I thought about the hours in a day, then those in a night, I knew my husband would have to be more than just strong and hard-working. He would have to be someone with whom I could talk about anything, and no one in our village had yet reached my standards. The sweet, ripe smells of the barn welcomed me inside, and I breathed in deeply, feeling instantly soothed. “Good morning, Amélie,” Papa and André said, glancing up from their work. The men in my family have never pressured me to find a husband. Marriage was important, I knew, but they seemed to understand that nagging would do no good. “Merci, mon ange,” Papa said, scraping his rake across the stall floor. “He told them they need their canoes back for fishing,” André said. I realized I had accidentally interrupted their conversation, and I perked up, listening for clues to the topic. Anything would be more interesting than discussing marriage. “They moved away?” I cried. Surely Mali wouldn’t have gone without speaking to me or saying goodbye! That reminded me I had a job to do as well. I dragged a stool to the cow and leaned my shoulder against her warm, bristled side, letting her know I was there. My fingers closed around her and tugged in a familiar rhythm. Papa and I both stopped what we were doing, incredulous. “Take up arms?” Papa puffed out a breath. What would the Mi’kmaq do if the Acadians were forced to side with the British? Would they have to fight against us? It hurt to imagine it. The oldest of my three brothers was an intense man. Even as a child he had been particular and precise in everything he did. His expression was often difficult to interpret, since he deliberately hid his feelings. This morning he was surprisingly easy to read. I couldn’t speak. What did this mean? What could have prompted the British to behave so? The act of seizing our church was an insult to all of us. We were not a warring people; if they declared war on us, what would we do? By the time I had been born in 1738, the British and the French had battled over this land many times, but my people had not been part of the fight. We had always called our home l’Acadie, but when the British had finally defeated the French for good, they named it Nova Scotia. It had never mattered to me which country believed they were in charge, because we Acadians lived independently of them all. I was not a Nova Scotian; I was an Acadian. Politics had never touched my life before now. I set the full bucket outside the barn, then gazed across the land toward our church. The shapes of men moved among the straight white rows of tents where they slept. Certainly I had seen them before, but they had not seemed so menacing until today. This reading group guide for Promises to Keep includes an introduction, discussion questions, and ideas for enhancing your book club. The suggested questions are intended to help your reading group find new and interesting angles and topics for your discussion. We hope that these ideas will enrich your conversation and increase your enjoyment of the book. In the early 1600s, a hardy, hopeful stream of French settlers travelled from France to North America, settling predominantly along the shores of the Bay of Fundy in a region known as “Acadie.” They established a harmonious relationship with the native Mi’kmaq people, who taught them how to survive the unfamiliar land and traded with them. Within a few generations, the French, now known as the Acadians, had transformed the lush wetlands along the Bay of Fundy into some of the most fertile fields in the world. But Acadia was poorly positioned with regards to the politics of the day, and by the 1700s, the warring French and British vied for sovereignty over their land. When the Acadians refused to pledge allegiance to the invading British, the army began forcibly removing them from their homes. 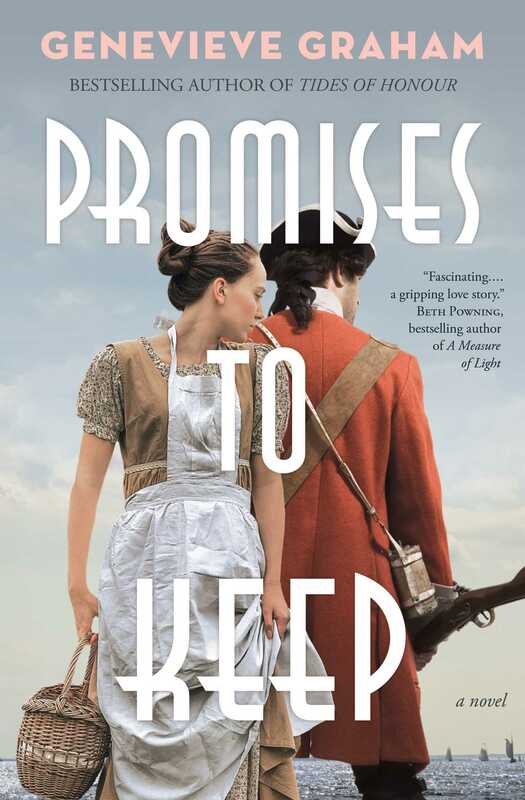 In Promises to Keep, Genevieve Graham reimagines this harrowing story through the eyes of Ame̒lie, a young Acadian girl, and Corporal Connor MacDonnell, a reluctant participant in the British plan to expel the Acadians. As their relationship deepens, more ships arrive to take Ame̒lie and her family away, and Connor is forced to make a decision that will alter the future forever. 1. In 1755, women were expected to behave in a certain way, but Ame̒lie does not follow those social norms and early in the novel, she asserts her disinterest in marriage. How do her views about marriage compare to the expectations that would be placed upon her as a woman at that time? Are those expectations different in l’Acadie than in France? If so, why? 2. Ame̒lie’s father Charles says that sometimes there is a difference between doing what is right and what is good. What do you think this means? Which is more important: doing what is right or doing what is good? Can you come up with some examples of this? 3. In the prologue, the author uses foreshadowing as a device to introduce the story. What was the effect of the prologue? Did it change your opinion of Ame̒lie’s father when you realized he was the man who saved Me’tekw? 4. If you were in Ame̒lie’s place, would you have escaped to the forest when the British were taking the Acadians away? Would you have done anything differently? 5. Why does Ame̒lie struggle to trust Connor? And what changes her mind? What does Connor do to gain her trust? 6. After the Acadians were forced from their land, the British burned their homes and crops to the ground. Why do you suppose this was done? 7. Given what you know about Canadian history, does this portrayal of the expulsion of the Acadians change your understanding of their experiences? 8. 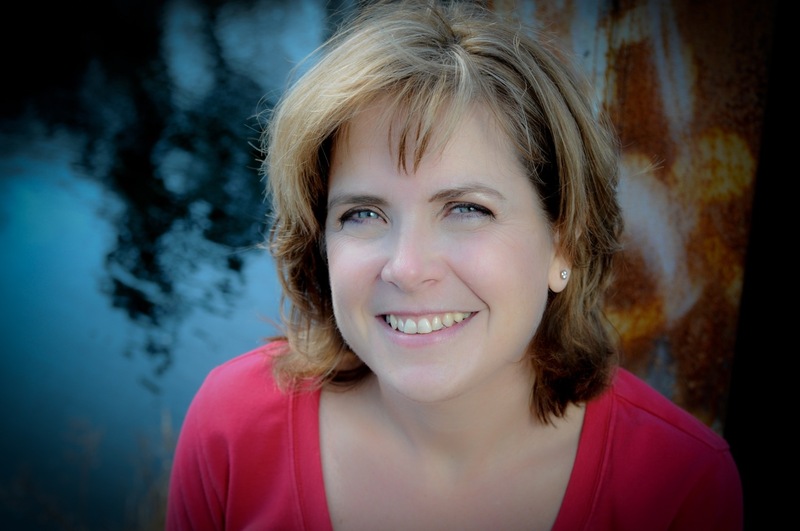 The author told the story mostly from the perspective of the Acadians. If this story was told from the perspective of the Loyalists, how might it be different? 9. The Acadians were expelled from their land because they refused to choose a side. How did this attitude shape how the British saw and treated them? 10. Connor promises to keep Ame̒lie and her family safe. Given the ending, do you believe he was successful? 11. What do you think Promises to Keep means? 1. Long before the arrival of Europeans, the Mi’kmaq lived along the eastern shores of North America, hunting, fishing, and farming in a region known as Mi’kma’ki. The particular region of Minas Basin and Grand Pré was the setting of heroes such as Glooscap. Research the history of the Mi’kmaq people and see if you can find stories about Glooscap and other legendary figures.